"Sir, kanina pa po ako naghintay sa inyo" (Sir, I've been waiting for you). A still smiling guy holding a placard for Puerto Pension was outside Puerto Princesa's airport waiting for me. The plane wasn't even delayed. There was just a bit of miscommunication involved. When I made plans to travel to El Nido, logistics dictated I stay for the night in the capital city of Palawan. No problem. I had a pleasant stay the first time in 2004 so I made arrangements to stay again in Puerto Pension. It's now even oozing with Tripadvisor compliments. The problem was, booking with them isn't as direct as simply giving one's credit card number online. I was e-mailed back with instructions, either paying through a bank or sending via fax or e-mail my credit card details (along with photocopies of my card and passport). I simply didn't have the luxury of time so I resigned myself to the idea of merely showing up and hoping I could still get their cheapest room - P946 all-in for a "Deluxe Single". It was while transiting in Manila (from Davao) that I found out they wanted my flight details. It turns out they still do offer complimentary airport transfers and even if I haven't paid up yet, they seem eager to get my business. So I e-mailed them that I'm on the afternoon flight. Unknown to me, they've already sent the poor driver to wait for me on the morning arrivals! It turns out I was the only guest he was picking up the entire day from the airport. In the old days, they used tricycles; now there was this pimped-up airconditioned jeepney with forward-facing seats. So there I was, feeling like an important guest with nothing but a backpack. Being back in Puerto Princesa again is really good. Being back in Puerto Pension again felt like coming home! More smiling faces greeted me as I walked into the reception and a welcome drink was handed to me. The staff's friendliness is still infectious. After 8 years, Puerto Pension has seemingly shown no age. It looks like a beachfront property made from wood and woven materials, exuding a more rustic appeal than wowing you with anything grandiose. Besides the obviously reasonable price, it's this homey ambiance that got me hooked. For P946 I got myself a small room with TV, airconditioning, small ref, bathroom/toilet and a continental breakfast (which I've upgraded to a full Pinoy brekkie for P88 more). Meals are served on their top floor "Tribu Restaurant" with its views of the bay. Receptionists take your meal orders the night before, noting what time you take the breakfast and interestingly, restaurant crew will ring you up to remind you "breakfast is ready Sir". I once again enjoyed my stay at Puerto Pension. Back in 2004, I remember they were still reeling from the effects of the Dos Palmas hostage incident. Maribel, who still works at the front desk, said most tourist-oriented businesses closed then and Puerto Pension was just at the brink. Things are way better now. It's heartening to see Puerto Pension today still serving the needs of those who want to see Palawan on a budget. Even if I have a million, I'd say I'd still stay again at Puerto Pension. i like the place, will surely consider this pagbisita ko in PP. poor driver, but they're really nice ah to wait for you tlga. i like the place it looks cozy, sulit tlga ang bayad! I miss Palawan, might stay there for a month pretty soon. now that's thebkind of resort i expect to see in the country specially palawan. i like the banig walls. tropical talaga. seriously, i salute those filipino businessmen who take pride in using philippine made materials such as banig and all. i cannot fully understand why there are resorts back home that mimic bali, indonesia or neighboring foreign counterparts. must be colonial mentality? oh i like the decor a lot. pretty affordable. i'll keep this in mind baka sakaling makarating jan.
yes, ito yung naikwento ko sa yo. Nice, affordable place to stay in PP before sumakay ka nung RoRo bus! wow, isang buwan...I wish I had that time kasi Palawan is worth staying for a longer time. so Pinoy nga di ba? pati presyo nila pang-Pinoy talaga. next time I return to PP, this will be my home once again. Hindi lang yung Filipiniana vibe nya, their genuinely friendly staff is what makes staying there memorable. 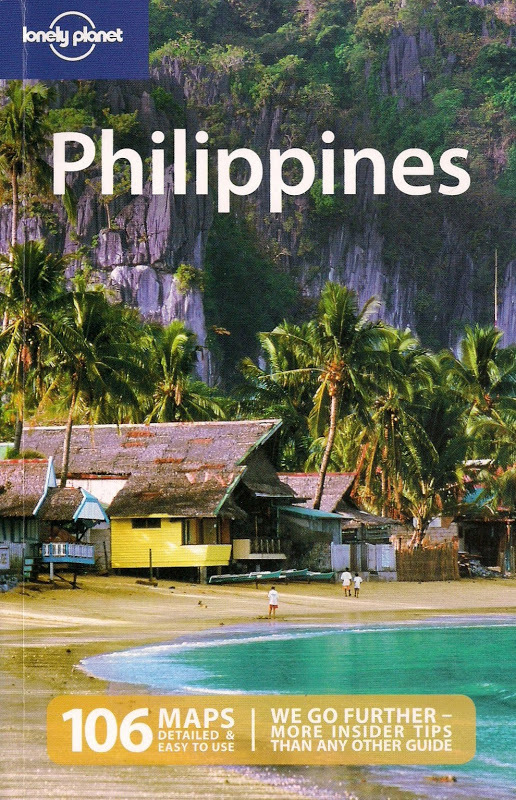 I do hope makauwi ka na rin Maria - there's always something special about a vacation sa Pinas. Oh wow - what a fantastic looking place and trip! I have just come across your great blog -I'm glad to see you've come to my native homeland of the UK. But you've never visited Greece? I am located here now - you should come, it is THE most beautiful country I have ever experienced. My kind of place! Kaya lang masyado yatang manipis ang partition mahirap kapag ang katabing kuarto mo ay honeymooners LOL. No lamok to worry about? I hope to visit Greece this year! Thanks. I didn't have to worry about buzzing mosquitoes or rapturous moments between couples next door. It was quiet, at least the time I was there!